Ukraine is a country in the Eastern Europe, which doesn’t require introduction to most readers as it was and still is filling pages of the newspapers and screens of a TVs. Courtesy of ongoing geopolitical conflict between the United States and the Russian Federation there. Some say, this is a conflict between East and West and thus suggesting that it is not just a place of competition between the world great powers, but between cultures and civilizations. This conflict isn’t new to Ukraine. Ukraine is one of those places, where history never falls asleep it merely takes short naps. After the last nap, which we call the Cold War, history is back in Ukraine, writing new pages full of dramatic lines. However, Ukraine has a sister. It was on the front pages of the newspapers as well not long time ago and it is also rich with dramatic history. The fate and history of both, including the most recent history, bears remarkable similarity and many parallels. Parallels that I intend to show you. The name of the “other” Ukraine is Krajina and a reader might remember it as a place in the Balkans, which was one of the frontlines of the civil war in Yugoslavia. Krajina is a part of Croatia, but historically it was inhabited by the Serbs. The name of Ukraine in the native Slavic languages is “Ukrajina” and thus the difference in the name is just a prefix “U”. That’s not by a coincidence. Ukrajina and Krajina are the virtually same word, just pronounced slightly different in different Slavic languages. In English, it means “edge”, “margin”, “frontier” or “borderland” and that’s exactly what Ukraine and Krajina were. They were one of those places where realms, cultures, civilizations and empires converged and clashed. Seems they still are, and because of that, Ukraine and Krajina were not just ordinary frontiers, they were military frontiers. Romans used to call such places as “limes” and in the Western Medieval Europe, they were called as “march” or “mark” – ruled by “marquis” and of the same etymological origin as the word “margin”. Ukraine was a borderland between Russia, Polish-Lithuanian Commonwealth and Crimean Khanate which itself was a remnant of the mighty Mongol Empire and at that time, it was a protectorate of the Ottoman Empire. Today Poland and Lithuania might seem like small countries compared to Russia while Crimean Khanate doesn’t even exist, but back in medieval and early modern era these were powerful realms vying for control over the whole region of the Eastern Europe. Krajina together with the similar region called Vojvodina on the other hand was a borderland between the Austro-Hungarian Empire and the Ottoman Empire. These places, were such powerful states, even religions and civilizations met weren’t the most peaceful ones and not very well suited for long prosperous life. They were in the state of almost perpetual conflict and war, because even if realms were in formal peace, irregular forces and local chieftains and feudal lords carried raids across the border seeking plunder or revenge, often with the silent consent of their sovereigns. Today we call it a hybrid war and plausible deniability. For that reason, such military frontiers had special status and were organized according to the military rather than civilian principles. Their purpose was to serve as a buffer zone, which was supposed to shield deeper inland territories from enemy attacks and raids and as a staging place for own attacks and raids against the enemy. Traditionally military settlers who had special status populated such territories. These settlers were typically freemen, as opposed to serfs in more secure territories and were exempt of taxes. Instead, they were obliged to carry military service on the border. Being half soldiers, half farmers, these men weren’t the best trained, equipped and disciplined comparing to the regular troops, but they were always available on the spot and required little or no pay as they supported themselves from their land which they supplemented with plunder from lands of the enemy. 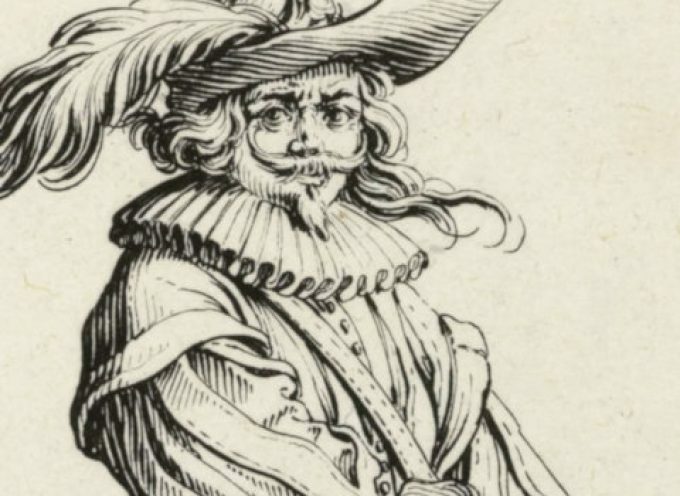 These military settlers were often recruited from refugees. In the case of Ukraine, these were the peasants fleeing wars between Russia and Mongol Golden Horde in the east on the one hand and on the other advancing feudalization of Russia itself, which saw farmers being forced in to serfdom in the increasing numbers. Refugees were fleeing to the areas away from the main conflict and out of the reach of the central authorities. 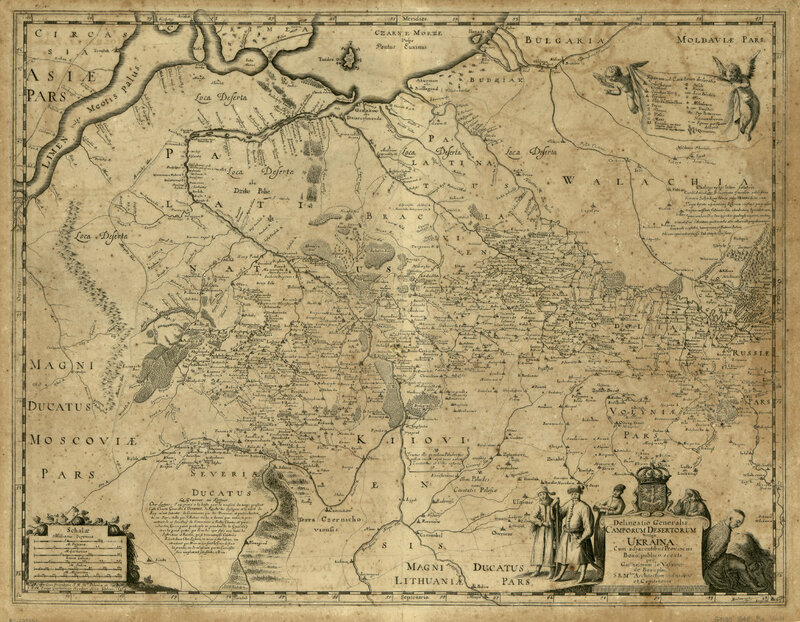 Here they begun to organize in to small communities and as soon as the situation in the central parts of Russia was consolidated and Russia has emerged victorious from the wars with Golden Horde and its successor khanates, these communities came in to attention of the Russian authorities who begun to utilize them as military settlers, giving them lands and tax exemption in return for the military service. Thus famous Cossacks were born. The word Kazak, which is Russian for Cossack, is of Turkic, not Slavic origin, and it is assumed to be originally describing nomadic mercenaries hired by the Russian princes to fight in their wars. Later it was used to describe men for hire, both in civilian and military roles and that is likely how it was originally applied to the people we now know as Cossacks. It should be noted however that modern Ukraine is not identical to historical Ukraine. Historical Ukraine was much smaller compared to modern Ukraine and it never was official name of some administrative region with definitive borders. Not until the creation of the modern Ukraine at the end of the First World War. This term was vaguely applied to the lands that were bordering Russia, Poland-Lithuania and Crimean Khanate, border that kept changing with the fortunes in wars. Moreover, Russia did not had just one Ukraine, there were several ukraines and “little” ukraines (ukrajinka) all along Russia’s sensitive borders. There were ukraines in the west, on the territory of contemporary Belarus, there were ukraines in the south near Caucasus Mountains and there were ukrainas in the Eastern Siberia. Only in the north where Russia shared a border with polar bears, Russia did not have ukraine. However, as Russia kept growing in power, securing its borders or expanding them further, most of the other historical ukraines disappeared and the one that was left longest became The Ukraine. Consequently, Cossacks did not exist only in Ukraine, there were and in some cases still are other Cossacks. Cossacks on the rivers Volga and Don, Siberian Cossacks and Terek Cossacks in the Caucasus to name the most notable ones. Russians were not the only ones who recognized usefulness of Cossacks either, Poles and Tatars were actively using them as well. Cossacks themselves were keen on exploiting conflicts between those powers to extract political and economic advantages for themselves. Military settlers in Krajina on the other hand were recruited mostly from Serbs, Vlachs (Romanians) and Croats fleeing Ottoman Turks who conquered Constantinople, capital of the East Roman Empire (also known as Byzantium) and defeated the kingdom of Serbia and the fragments of Bulgarian empire in the Balkans and were aggressively pushing north towards the Central Europe engaging with Hungarians and Austrians. That’s how Krajina got its Serbian population. Just like in Russia, historical Krajina does not necessarily copy the borders of what is considered Krajina in Croatia today. And just like in Russia, there are other krajinas elsewhere in Balkans. Bosanska Krajina near Banja Luka, Timocka Krajina between Serbia and Bulgaria, to name a few. In 1881, with the danger of Ottoman incursions all but disappearing, Austrian Emperors dissolved Krajina as an administrative region and incorporated it in to the kingdom of Croatia. While Cossacks are widely known as famous horsemen, a few people know that Krajina, and neighboring regions of Balkans are where the other most famous light cavalry of Europe comes from. Not less famous Hussars. 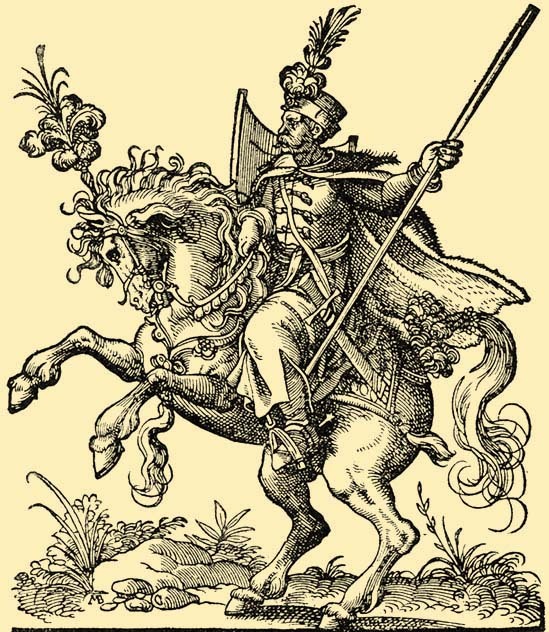 Hussars were originally irregular cavalry from Balkans. Hungarian kings and Austrian emperors who employed them in their armies introduced them to the Western Europe, where they were quickly copied and adopted by the other armies for their effectiveness. With the advent of firearms, European knights in their shining expensive armors, riding heavy warhorses were gradually withdrawn from the battlefields as European armies begun to appreciate less heavily armed cavalry in their place, which substituted speed and agility for direct protection and ambushes and flanking for charges in to the enemy front lines. And that’s where experience of combating Turks and Tatars of Asia who always preferred lighter cavalry came in handy. Through centuries of constant fighting, Cossacks and Hussars adapted themselves to the fighting methods of their opponents and adopted many elements of their equipment and tactics. Not everybody though served in the cavalry and contrary to popular belief, most Cossacks served as infantrymen. Horse, especially saddle horse back in those days was something that only the wealthiest Cossacks could afford. When Ottoman and Austro-Hungarian empires collapsed in the flames of the Balkan Wars and the First World War, which had aroused from the conflict over the Bosnia, Croatia and Serbia joined Yugoslavia, a new state that supposed to unite all the Slavic people of the Balkans. Krajina ceased to be a province on the edge and it seemed that history there would slow down. Nevertheless, history just took a nap. On April 1941, German army invaded Yugoslavia under Adolf Hitler’s orders and Yugoslavia quickly fell apart. In Croatia, with the support of the Germans, puppet state with the pro-German fascist political party of Ustashe in power was established. Ethnic cleansing campaign and persecution of Serbs and other minorities followed, and lasted until the defeat of Nazi Germany in the WWII. The exact number of Serbs who perished in those repressions is unknown, estimates vary between 300,000 and 500,000. About 50,000 alone died in one of the concentration camps in Jasenovac. With the National Socialist Germany and their allies defeated, Yugoslavia was reinstated under the leadership of the Communist party and a war hero Josip Bros Tito. Whereas survived Nazi collaborators found a shelter under the wings of the US and British secret services in the West Germany, Canada, USA and Australia. Unlike Nazi scientists, they did not possess any great knowledge or technical skills, but experience of political repression and anti-guerrilla warfare were of the value for the CIA in the upcoming Cold War. The end justifies the means. Interestingly enough, Ustashe from Balkans found themselves thriving at the same centers and under generous tutelage of the same secret services of the same governments as Nazi collaborators from Ukraine – the infamous UPA (Ukrainian Insurgent Army) and its political leaders like Stephan Bandera. In some instances, political and cultural institutions of the Ustashe and UPA were located on the same streets, sometimes even inside the same buildings of Western cities like Munich. Just like Ustashe, the WWII records of UPA are full of the ethnic cleansings, mass murders and war crimes against civilian population that did not fit UPA’s racial and ethnic standards. Now they were to be sustained like bacteria of a biological weapon on a Petri dish in CIA laboratories, waiting for their time. Ironically, their time did not come during the Cold War, even when there were some failed attempts to utilize them. Their time came with the end of the Cold War and fall of the Communist rule in the Eastern Europe and the collapse of the Soviet Union. The easiest way to destroy multinational country is to start ethnic conflicts between the peoples of a country itself and let them destroy it themselves. Under Tito, who himself was from mixed Croat-Slovenian family, stability was maintained between the various ethnic groups dwelling in Yugoslavia, but that balance was fragile and rested to a large extend on the authority of Tito himself. With his death, the institutions of the state and the way Yugoslavia was constructed came for a test. Yugoslavia was constructed as a federation in such a way, as to prevent any one of the constituent nations from dominating the state. Serbs were always the most numerous and therefore strongest nationality in Yugoslavia and other nationalities, particularly Croats and Slovenians feared that Serbs would dominate the state. Not without a good reason either as interwar Yugoslavia indeed ended up being dominated by the Serbs and their elite. 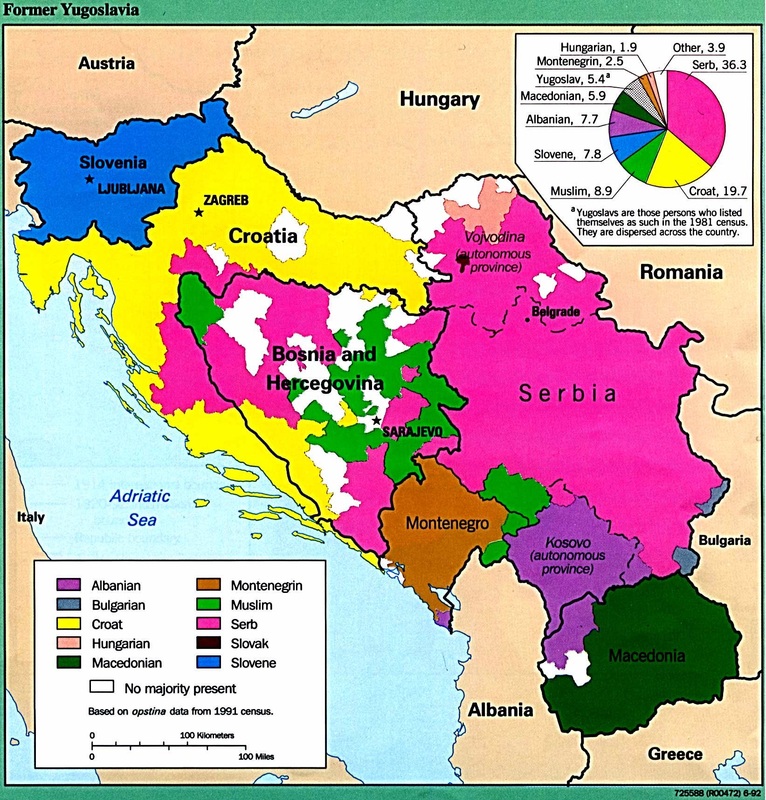 To prevent that, in post war Yugoslavia, Serbia was divided in to four parts: republics of Serbia and Montenegro and autonomous regions of Kosovo and Vojvodina. Later three had significant non-Serbian ethnic minorities. That accomplished the goal of creating a balance between the powers of national republics inside Yugoslavia, but it inevitably created feeling of injustice among the Serbs. It was only Serbia which was divided and weakened in such a way, neither Croatia, nor Bosnia or Macedonia were divided even if they too had regions with ethnic minorities present. Serbs in Krajina were an example and Bosnia was heterogeneous to such extent, that it was sometimes nicknamed as Little Yugoslavia. After period of unsuccessful Communist experimenting with creating single Yugoslav supranational identity, which would replace individual nationalities, Tito and his Communists went the other way and in the new constitution of 1974 tried to placate nationalist sentiments by bestowing more power on to the republics and strengthening autonomy of the regions. In Voivodina, Montenegro and Kosovo that led to an increasing cultural, economic and political pressure against Serbs who became convinced that system inside Yugoslavia works at their expense and they are loosing. In Kosovo where Albanian population was steadily increasing due to immigration from Albania and higher birth rates, issue was especially sensitive because Serbs consider Kosovo to be historical cradle of their civilization. But any attempts to change the situation by the Serbs, inevitably led to the reaction in the other republics creating endless spiral of increasing suspicion and tensions between the republics. With the economy and central institutions weakened by the gradual decline in the power of the Communists and change of the political and economic situation in the whole of Eastern Europe, it required only a gentle push from the outside to spark ethnic conflict. That’s were Ustashe and other similar groups been held in the reserve during the Cold War in the West were finally put to a good use. Under disguise of democracy and freedom of speech, they were re-imported back in to their countries of origin along with the literature and propaganda created around their ideologies in the Cold War exile thanks to the generous US and German sponsorship. Money from Saudi Arabia and other Arab countries played similar role in the Muslim communities of Yugoslavia. Eventually it brought yields. Spinning in spasms, in 1990 Yugoslavia has arrived at the cliff when constitutional crisis completely paralyzed federal institutions, including Communist party itself. Republics were fighting each other. The only significant federal institution left willing to defend Yugoslavia was its army. However, army required an order from politicians to start acting, and there was no one to issue it. Yugoslavia was going to dissolve. The only question was how and when. Anybody remotely familiar with Yugoslavia, knew, that if it would be done in unilateral uncontrolled manner, it would lead to a war. Only in Slovenia, the administrative borders were identical to the ethnic borders. The rest of Yugoslavia had ethnic minorities living all over the place. This was also well known in Washington and Berlin. Despite, or may be because of it, Washington and Berlin chose exactly this option even against the warnings from other European capitals. Berlin was the first to recognize independent Slovenian and Croatian states and hence British diplomats unofficially named the war that begun immediately in Croatia as “Gensher’s war“, after German foreign minister at that time Hans-Dietrich Gensher. When Croatian government declared independence from Yugoslavia in 1991, Serbs of Krajina in response declared their own independence from Croatia. All peoples have equal rights for independence. Right? Wrong. “All animals are equal, but some animals are more equal than others” to paraphrase George Orwell and his famous book. Everybody likes to be independent himself, but not when others want to be independence at his expense. Croats are no different and independence of Republic of Serbian Krajina, which is how Serbs named their new country, was met with more than a strong disapproval in Zagreb, the capital of Croatia. A conflict flared almost immediately and it set off bloody civil war that engulfed other parts of Yugoslavia, eventually ending its existence. When declaring independence, the most important thing isn’t who has the right for independence and who does not, the most important thing is who supports it. And here Serbs of Krajina were placed at a disadvantage because they were supported only by small Serbia, which itself was having plenty of problems inside, while Croats were supported by several world’s most powerful countries – USA, Germany and the entire NATO alliance. Serbs held for several years, but at the end fight was just too uneven. It ended when Croatian forces supported by the USA and Germany overrun Serbian lines manned mostly by local militiamen on August 1995 and proceeded to ethnically cleanse Krajina of its Serbian inhabitants for good. Up to 1500 of them lost their lives, 2/3 of that number were civilians and up to 200,000 had to flee to Serbia and Bosnia. It was one of the two places in former Yugoslavia, where an entire historical region was ethnically cleansed of its population during the civil war. The other region being ethnically cleansed of Serbs was Kosovo, also with the support of the USA and it’s allies. The irony that is still carefully hidden from the public by the politicians and journalists in Washington, London and Berlin who worked tirelessly to convince people in their countries that those are Serbs who perpetrate crime of ethnic cleansing and had to be stopped by noble and smart bombs, enriched with uranium. Everyone else were portrayed as victims. It was a deliberate lie. Even supposed plan of ethnic cleansing of Albanians in Kosovo by the Serbs, named “Operation Horseshoe” which served as a pretext for bombing of Serbia itself by the NATO forces, was after the war exposed as entirely fabricated by the German secret service BND with the help of Bulgarian government. To be sure, there were plenty of cases of local ethnic cleansing, perpetrated by all sides of the civil war, Serbian one including, but not on the scale of the entire historical regions like Krajina or Kosovo. Nevertheless, ethnic cleansing wasn’t the real reason for the intervention, the real reason was that USA, Germany and EU wanted Yugoslavia to be gone and Serbs in Krajina and Kosovo stood in their way. Yugoslavia was too large to be incorporated in to the EU and NATO, one has to join the EU and NATO as weak as possible and under the conditions favoring those who are in charge of the EU and NATO. Conditions that demand political, economic and cultural subordination and transfer of the control over national resources and markets to the global corporations. Corporations of the global Empire. Therefore, Serbs of Krajina and Kosovo had to go. All of them. Yugoslavia had to be broken in to small pieces and pieces then digested by the Empire one by one until the whole Balkans had “proper” democracy, endorsed “proper” values and values were “protected” by the US military base or two. Divide et impera, Romans used to say. The conflict in Ukraine is driven by exactly the same motives and reasons and using the same old methods and the same propaganda tricks. Timed bombs in the form of the arbitrary changes of the administrative borders made by the ruling Communist elite blew up during break up of the USSR too, as well as their policies of creating new Soviet people. Former Nazi collaborationist were also used to instigate ethnic hatred. Place Soviet Union instead of the Yugoslavia, Russians instead of Serbs, Ukraine instead of Croatia, Donbas and Crimea instead of Krajina and Kosovo and the story is almost identical. Ukraine and Krajina share similar history once again. Almost. With the exception that the Soviet Union was much larger than Yugoslavia, Russia is much larger than Serbia, and Russia has powerful allies in the world of its own. A victim turned out to be too big and vital and the Empire appears to suffer major digestive problems as a result. Will Ukraine end up sharing the fate of its sister after all? Or will Ukraine turn out to be one mouthful too many? One thing is certain, history did not stop. History has no end. Prophets of the Empire has been proven wrong.